‘Twas the night before Christmas | Turning my world upside down! 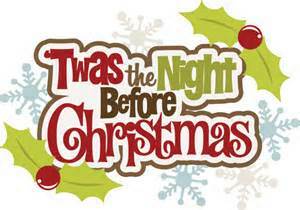 Clement Clarke Moore (1779 – 1863) wrote the poem Twas the night before Christmas also called “A Visit from St. Nicholas” in 1822. Merry Christmas and Joyeux Noël to all my friends and family! May the New Year bring you continued good health, happiness and the best of times! Merry Christmas and Joyeux Noël to you and your family. Check out my blog with the same heading posted just a few hours earlier then yours!